If you're experiencing difficulties and maintenance issues with your Audi vehicle, bring it to the Audi Peoria service center where our technicians can give a full inspection. Check your stress at the door when you come to Audi Peoria. Comfortably relax in our waiting area and let us take care of the rest. Audi Peoria is the premier Audi service provider for Peoria, Glendale, Scottsdale, and Phoenix. Does Audi Peoria service every model of Audi? No matter what kind of model or what year your car is, Audi Peoria is fully capable of fixing you up and getting you back on the road with maximum efficiency. Bring in your Audi A4 or Q5 as soon as that pesky check engine light comes on and we'll take care of the rest. We are conveniently located to service the greater Phoenix area. Whether you live in Glendale, Scottsdale, Surprise, or Sun City West, we have you covered. 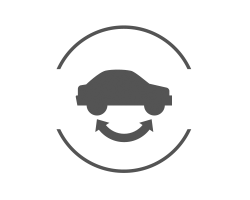 If you're in the area and search "Audi service near me" our location is sure to come up. 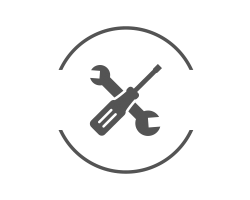 Does Audi Peoria offer general maintenance and inspection services? Absolutely. If you're Audi is running smoothly and you want to keep it that way, bring it in for an inspection. Our Audi service center will give it a full inspection to ensure that none of the parts or systems are starting to fail. Can I order parts for my vehicle through Audi Peoria? If we don't already carry the part you need to fix your Audi, we can have it delivered straight to our shop from the factory. Don't stress over third-party auto parts dealers and go right to the source! Our Audi service center provides a comfortable waiting area for you to kick back and relax in while we get take care of your vehicle. Our Audi service hours are Monday through Friday 7:00 am to 7:00 pm and 7:00 am to 5:00 pm on Saturdays. We are closed on Sundays. Come to see us at Audi Peoria! 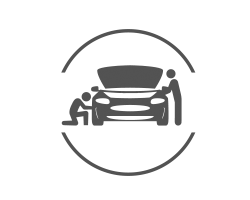 Our expert technicians are eager to work on your vehicle and get you back behind the wheel. You need to rotate the tires on your Audi to maintain even wear from front-to-back and side-to-side. Having your tires rotated at Audi Peoria on a regular basis will ensure they last as long as possible.